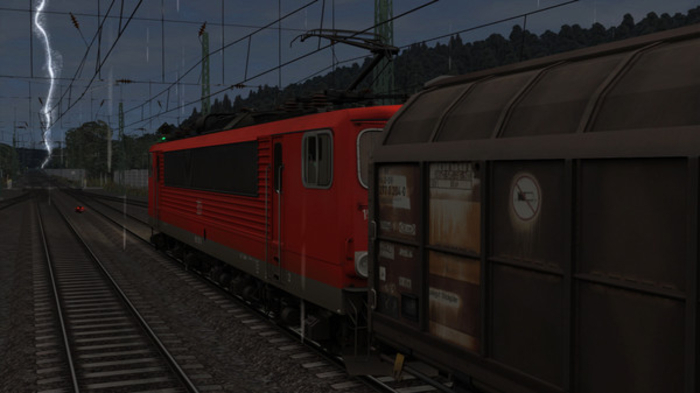 Travel along the railway as you are the conductor of your own train in Train Simulator 2016. This is a fun simulation game that features several trains to choose from, such as large diesel vehicles and those that take passengers from one location to another. You can control a train anywhere in the world, but the best tracks are in the United States. You can play the game independently, or you can add the game as an upgrade to the 2015 version. Graphics haven't been updated much from the other games in the series. However, some of the weather graphics have been improved, such as seeing rain on the windshield while you're driving. You can sometimes see snowflakes if you drive the train in the winter. The controls are still the same as well. There are three routes to choose from and over a dozen trains that you can control. It's best to start with a smaller train so that you can get used to how to control it on the track. Sometimes, there are challenges where you have to deliver goods to a certain location by a certain time. You could face delays because of the weather, or there might be other trains on the track ahead of you which means you can't get past. This is a fun game for those who understand trains and who like being on them since it's pretty much maintaining your speed on the track and making sure you get to your destination without getting in an accident. There are a few details that will make you feel like you're behind the controls of a real train, such as the sounds and the movements of the gauges and levers.